We heard about JVWeddings as a recommendation from our photographer, and could not be happier with our choice. Mihkail made us feel so comfortable/natural with everything and it really felt more like we had a good friend with excellent filming skills with us rather than someone we hadn’t met before. He also has great attention to detail, he even caught that I wasn’t wearing my engagement ring while getting ready and recruited a bridesmaid to find it so it would be a part of the shot. These details made for an amazing quality of videos. The feature film was the perfect mix of everything from our wedding day with a focus on the note reading/ceremony as we requested. We would recommend JVWeddings to anyone getting married because of the ease of working with them as well as the high level of detail you will receive not only in the videos but also the presentation of the videos (the media comes in a custom box that we already have displayed in our home). Planning our wedding, we initially were going to opt out of having a videographer. We decided to do a little more research and we came across Just Visuals. After watching some highlight videos Mihkail and his partner have worked on, we decided right then and there. WE NEED THEM!! They arrived on time, and communicated with us throughout the entire wedding planning process! What’s even better, you can even pay online, which made planning so much easier! JVW were the last vendor we hired for our wedding, and the first vendor we paid off because of this. There are no words we can say that will give Mihkail and his team enough praise!! They were simply AMAZING. We were floored how Mihkail could use his God-given talent, and turn our wedding day into something we could relive forever. There are no other videographers we would recommend. THIS IS IT! Gosh, we cannot say enough great things about JVWeddings! Mihkail was such a nice guy and so easy to work with! We weren’t sure if we needed a video and wasn’t sure we wanted to make a spot for that in our budget. After talking with some newly wedded friends, we decided to do it and I’m SO glad we chose JVWeddings. I would recommended them and doing a video in general to every couple getting married! He made us feel so comfortable and like he wasn’t even there but the video showed it all! So amazing and something we will cherish forever. Thank you, thank you, thank you!!! JVW did an excellent job capturing my wedding day! Mihkail is very professional and easy to work with. He and his partner were on time for capturing the wedding prep and followed guidelines in the church. They were very family friendly and had great personalities! My husband and I love our wedding video! It really captures the what means the most to us. We highly recommend using JVW videography! FROM THE GROOM: Words can’t describe how great Mihkail and his crew (JVWeddings) did at me and my wife’s wedding June 16, 2018. The professionalism was there from day 1. My wife explained the vision of how she wanted her wedding and he did a superb job at making it come to life! He understand the special moments we would want to share for the rest of our lives. Working with Mihkail the day of the wedding it seem like he was a part of our family. He’s very humble and strong-minded. I would highly recommend Mihkail and his crew to any couple that is planning for their marriage! We appreciate JVWeddings. Blessings! FROM THE BRIDE: If I had to use one word to describe the work of Just Visuals in terms of experience and quality, it would be exceptional! Communication was great leading up to the big day and Mihkail and his partner made us feel so comfortable in front of the camera. Very professional, but fun! Their services are affordable, and the quality of the final product is unbelievable! The artistry is unmatched and our wedding video is more than we could have imagined or asked for. We couldn't be happier and would highly recommend using Just Visuals for any occasion you want documented! FROM THE GROOM: I am a true believer that things happen for a reason. My wife, Jordan and I, we met Mihkail over 2 years ago to inquire about his wedding videography services. Fast forward to our wedding date June 2nd. 2018 - It was breathtaking! We knew the moment we laid eyes on his videography work that he was the one we wanted to work with. There's a difference between doing work casually and doing work with passion. Mihkail is an artist and he truly loves what he does. His confidence explodes through his work, yet he is one of the most humble individuals I have ever met. The wedding day was everything and it actually felt like he was one of our relatives there. He made us feel comfortable and was also one of the best hype men in the room :) . If you are looking for a life changing professional experience and top of the line quality of work - please do yourself justice and do your next events with JVWeddings! Much love to you brother and thanks for being insprational through your work and your everyday walks of life. Peace & Blessings! Mihkail and Jordian were absolutely wonderful. They made us feel comfortable in front of the camera and worked well with our photographer. They were both so much fun and great to work with. I am so happy that we booked them to capture our special day! I cannot sing the praises of Just Visuals Weddings enough!! I was connected to them through a high school friend who posted her wedding video they did. It honestly convinced my husband and I to go with videography in the first place. Mihkail is a complete pro and is incredibly fun to work with. He listened to everything we wanted and also brought a flair that really captured our day exactly how it was. He and his wife (who was his second shooter on our wedding day) made me, as the bride, feel completely beautiful and relaxed. We had so much fun working with them and sharing in the entire experience. Our video is seriously amazing! They captured so many little moments. that I felt really captured out day well. 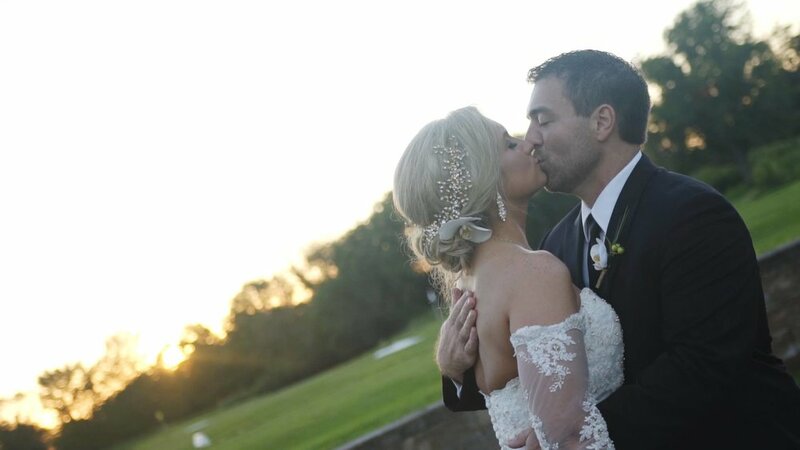 If you are in need of a videographer for your wedding, JV Weddings are the crew for you! you will always have a piece of media you will cherish and an experience with some of the greatest people that you will always treasure.